I am anxious and struggle to maintain balance in traffic when vehicles are coming from behind even though I am in the bike lane. I feel like I will fall over when turning. Is this something which is natural and with practice it will be fine? I have ridden almost 200kms but the fear is still there. Good to hear that you are back on a bike! From what you are saying about struggling to maintain balance, I suspect that you are riding slowly, and pedaling slowly. The part about feeling like you'll fall over when turning is consistent with that too. Maintaining control when riding slowly is actually one of the hardest skills to master. So I recommend going somewhere with no traffic and practicing the things you're having difficulty with. Try riding in a figure 8, in as small space as you can, like two car parking spaces end to end, and then in one parking space, without crossing the lines. Aim to do the figure 8 ten times. You'll find you need to pedal and brake at the same time to get the figure 8 really small. The next skill to learn is to look back without wobbling. Even if you get a mirror for your bike, this is still worth practicing. There are many times when you just have to turn your head and look. So again, where there is no traffic, try riding along a line and turn your head to look back. It's extremely hard to not wobble at all, but try to get the wobble down to, say, 15cm (6 in). You'll find it easier to do if you ride faster, and in a lower gear, so that you are pedaling much faster. And the next skill leads from that: learn to pedal much faster. Try to pedal as fast as you can count. You're aiming for at least 60 pedal strokes (with each leg) per minute. If this sounds fast, then I should point out that this is the slowest you should pedal. Eventually you should be pedaling at 80 or 90 rpm, or even faster. By pedaling quickly, you will put much less effort into each pedal stroke, and this will reduce the amount of wobble. The last skill I recommend is to be able to make confident hand signals without wobbling, so that you can do it, and to tell the drivers around you what you intend to do. Practice in the same way as looking back. When you feel confident to go back to traffic, remember to look ahead and plan your path, so that you can ride in smooth, straight lines. This helps you maintain speed, helps the drivers predict where you will go next, and avoids wobbling at low speed if you have to carefully go around some obstacle, such as a pothole or parked car. Remember that the drivers are not actually trying to run you over. They are just not bike riders and have no idea how much room you need. You have to take 100% responsibility, because they don't know what they're doing. So, improve those skills, so that you can ride more confidently when you return to the traffic. Regularly practice new skills. I wrote a list here. All these answers are excellent. My opinion is that as well as doing all these things, you need to give yourself a psychological safety net. I am an advanced motorbike rider and use some of those skills when I ride. For example, too many cyclist ride too close to the edge of the road. This gives you the impression of being too tight when a car comes along like mild claustrophobia. As motorbike riders we're taught to be off the centre of our lane. Of course, you cannot ride in the middle of the road but being more away from the kerb, it gives you options. Most cars will see you earlier and give you more space. If they don't, you have the option to get closer to the kerb and ease the pressure. But remember to go back more away from the kerb. It's human nature to stay away from the danger of the moving car but it's more proactive to be more visible, so they give you more room and you have a way to escape if one gets too close. Like you, I've returned to riding after 20 years away. It's been a very rewarding journey. One thing I discovered was that I had an aversion to turning and leaning. Our neighborhood has relatively narrow streets, no markings, no shoulders, just country lanes really. I'd been practicing U-turns but they always felt wobbly and a little scary. One day, I didn't cut the turn soon enough and faced the choice of running into a mailbox or leaning hard and fast-pedaling out of it. It turned out I could safely lean pretty far, I just hadn't realized it, and it took this event to show me I could do more. Psychological barrier: eliminated. I practiced in the neighborhood for six months before I took it out on trafficked roads. This was a good thing, although I hadn't really planned to wait so long. It turned out I needed to work on myself just as much as my new-to-me used bike, mainly because I sidelined myself overdoing the hill-climbing and my knees told me to sit myself down for two months. After that, I only did what they would agree to, which was thirty minutes a day for three days a week and carrying the bike up any steep hills. This forced delay gave me time to work everything out in advance, from basic riding skills and equipment to aligning my head with the task and acquiring a high-rpm cadence habit. Only two weeks ago, at the end of November after starting in June, did I ride outside the neighborhood, on trafficked roads. Thanks to preparation, I can do longer rides now and feel comfortable. Having a great time, really. Regarding traffic, I've decided never to do left turns on busy roads. Instead, I do a right, then U-turn/turn around and cross. This feels much safer. I wonder if you haven't accepted the fact that road risks are manageable and can be reduced, but they can't be eliminated. You can get hurt, it's not up to you and once you've done all that can be done you have to not think about it. I wonder if your anxiety comes from your having not accepted it, and that part of you is trying hard to control something that can't be controlled. So perhaps part of the answer is to practice, practice, practice, then get out of your head and let your body do what it knows how to do, namely to balance. This answer has turned out just to be mostly an endorsement of what @andy256 said. Depending on your location, off-roadway or protected bike lanes may be your best bet. Some places have heaps, some few, and some none at all. If you choose to ride on the footpath/pavement/sidewalk, please check your local laws first to find out if this is legal. The feeling of falling while turning means you're not confident in your balance. Either you're going a bit slow, or you're looking down too much. Slow speed means wobbles and larger steering corrections. Or your bike is badly fitted, and you're simply too high off the ground? If you feel as though you are struggling to maintain balance, then in my opinion you should ride somewhere with less traffic until some confidence returns. Your confidence in turns may take longer to return. It may help to see how cyclists with more experience handle tricky situations, such as sharp curves. Be careful using the front brake when things are slippery! Enjoy yourself, and your confidence will soon be back. I suggest that you try building up gradually to the level of traffic. Perhaps you can try the larger/central roads within a neighborhood, as they have occasional cars, but not a constant stream of them. I also suggest that you get a rearview mirror (if you don't already), so that you can see cars approaching and prepare for them. I remember when I moved cities when I entered uni, and was cycling to uni every day. I am quite experienced at cycling on roads, as i did it all the time at home. However, at the start it was very hard getting used to the traffic and roads which seemed very different from what I was used to. However, with time I have gotten used to the roads. I advise that you stick to what you are doing and just carry on cycling as best you can. You can also do a road cycling workshop if you haven't done one before - it has been pretty useful for me as I don't drive so I wouldn't know some road rules. I find knowing some rules of the road gives you confidence. You've not ridden a bike for 20 years - and for your first bike, you've bought a fairly serious lightweight road bike? In the words of the Irishman, "I wouldn't start from here". Lightweight wheels are a wonderful thing for fast and efficient cycling. Unfortunately the same lack of mass means they have much less inertia for keeping you upright. The result will be a bike that's twitchy as hell in the hands of a complete novice. Eventually you'll get the hang of it, but in the meantime every small bump in the road, every unexpected sidewind, every passing car and every accidental twitch of your arms is going to knock your front wheel all over the place. Road bikes also put you into a nice aerodynamic position which is great for performance, but has serious shortcomings for situational awareness in heavy traffic. If you're nervous in traffic, a more upright riding position will definitely help you. And let's face it, if you're cycling in heavy traffic then you're unlikely to be clocking up the kind of speeds where aerodynamics make much odds. And if you're worried about leaning, especially if the road/pavement surface isn't great, I'm not sure narrow tyres are helping you either. Honestly? Get yourself a more basic tourer and get your mojo back first. 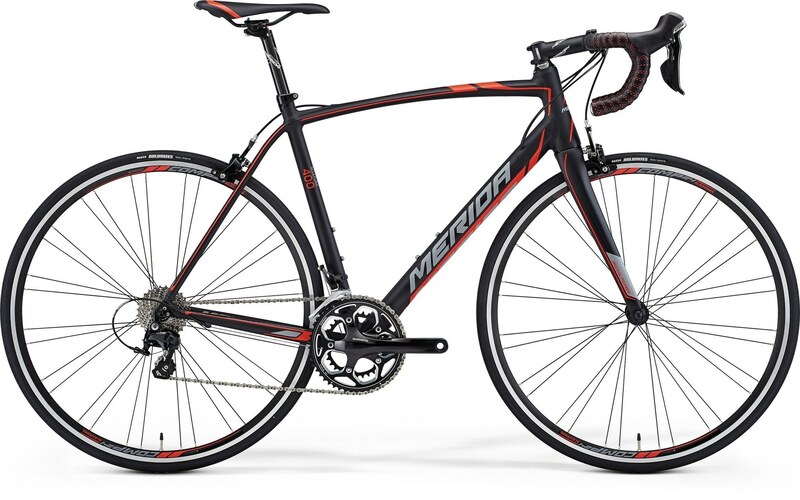 When you're no longer worried about the mechanics of staying on the bike and getting it round corners, that's the time you can upgrade to your hot road bike. A few years ago I crashed on icy asphalt - I didn't see the ice, tried to take a turn. After that, for a period of time I was afraid to take sharp turns. What helped me was going to the countryside, finding a place with minimum traffic and good asphalt quality, and practicing taking sharp turns. Maybe this can help you get some confidence in turns. Keep in mind that at higher speeds you should countersteer - maybe you will do it automatically. The fear is natural and will decrease with time if you keep riding, but there are ways to speed up the process. This is basically just a list of the various things that helped me become confident with riding in traffic. Some of the advice is specifically about building confidence, but a lot of it is just good advice for riding with traffic safely. The best way to build confidence is to know for a fact that your confidence is justified. Generally, the faster you can go (while still maintaining control), the easier it is to ride with traffic. The closer you are to the speed of traffic, the more time you have to react if you need to, and the more time they have to see you. To take somewhat extreme examples, if they're traveling at 90 kph and you're going 15, you're basically a stationary object to them. But if they're traveling 40 kph and you're traveling 30, they close the distance at the same rate they would if they were just jogging, and will have plenty of time to react. Favor slower roads if you can while you work on building your speed (either through increased cadence or by gradually increasing the gear while keeping the same cadence). Your speed will increase naturally as long as you keep riding regularly. Counterintuitive though it is, riding on the very edge of the road actually gives you less space. If cars have enough room to pass you without changing lanes, they will, even if they need to pass within 20cm of you to do it. Instead, you should ride about 1m from the side of the road. This forces cars to actually move into the other lane in order to pass you at all, and once they need to take the time to do that, they'll usually pass at a safe distance. And if they get too close anyway, you're not on the edge of the road already, so you can move there to escape the danger. Just knowing you have that option can improve confidence. If the road has multiple lanes going in each direction, it's even easier for traffic to pass at a safe distance; if you need to ride on a fast road, multi-lane roads are a bit safer than they would be otherwise. It probably goes without saying, but the better you can see, the less you need to worry about what might cause trouble. If you can, avoid riding in the rain until you're more comfortable; the combination of decreased traction and decreased visibility makes things everything else harder to deal with. Night riding is probably fine, but your confidence will be much higher (justifiably) if you get a good headlight. A lot of bike lights are just meant to make you visible to cars, rather than give you a clear view of the road. That's fine for tail-lights, but for the headlight, you want something better if you can afford it. I cannot overstate how much difference a good light can make for confident night riding. This site has side-by-side photos of various lights in action. They range from "I've seen brighter candles" to "I thought the sun was out, but it turns out I just left my headlight on", with prices to match. (I use the Light and Motion Urban 350, which falls somewhere in the middle). Your local bike shop could probably also make suggestions. You should follow the traffic laws as though you were a car, even ones you aren't bound by. The reason for this is because drivers are all subconsciously expecting other vehicles to do so. You want to be predictable, because if you're not, drivers will have to leave their normal pattern of behavior to avoid you, which means that they're not predictable, so you don't know how to respond to what they do, and suddenly everybody is improvising instead of relying on experience. But if you're behaving predictably, then they'll be predictable, and everyone on the road knows what everyone else is doing and can proceed with confidence. Because of the proliferation of distracted drivers and the fact you can't control other people or know their current mental state and situation when they're driving up behind you, you have EVERY REASON to be anxious and I think your concern is healthy because it shows you understand the serious risks you are facing. Perhaps this is simply your survival instincts measuring the risks for you? Whether these risks you take are worth the rewards is entirely up to you. Since your safety is partially in the hands of fate and luck because you are cycling in an environment where you do not have 100% control, there are inherent and unavoidable risks placing yourself in such an environment. I don't mean to sound alarmist, everything in life has risks but the risks are definitely amplified when you decide to drive any vehicle anywhere -- especially on public roads. Most people are relatively careful drivers, but it only takes a single moment of distraction at the wrong time for it to become a "fatal distraction." Be safe, follow traffic rules and hope others do, and good luck! Just wanted to say that I recently got back on a bike after 10 years, and very, very happy that I did. I ride to work, and I just practiced my route a couple times on the weekends to feel more comfortable. I also took advice from my fellow cyclists: Claim the Lane. It's better for a car to know they can't get by you than to think maybe they can squeeze. Don't hug the curb. When in doubt, get out further to the left (assuming you are well in front of any cars, of course). Not the answer you're looking for? Browse other questions tagged traffic beginner or ask your own question.